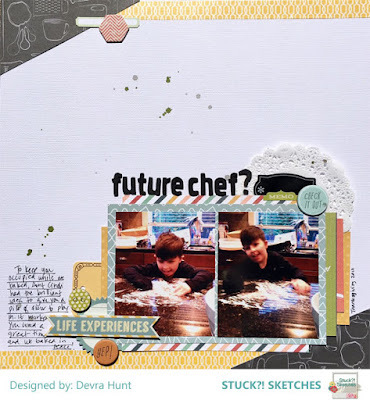 My Creative View: Future Chef? Here is how I used it. I used the sketch pretty much as shown but I made the corner pieces much smaller. My photos aren't great and I thought the larger bottom piece might overwhelm them. As smaller pieces, they give my page a nice diagonal flow, keeping the focus on the photos. So, I'm not really sure how this went down. I need to call my sister to find out is she remembers. It's either that we were baking cookies when my younger son tried to join us, so we gave him some flour to play with, or we gave him the flour to play with to see what he would do and not bother us while we were baking. Either way, he really liked playing with it. And the cookies were good too. Thanks for stopping by my creative view today. Come back again soon, I have more to share. Supplies: CS-American Crafts, PP-Echo Park, doily-BoBunny, Embellishments-Fancy Pants, Lilly Bee, Freckled Fawn, Pink Paislee, mist-Studio Calico. Loving your take on the sketch! This is an awesome page! Love this page. 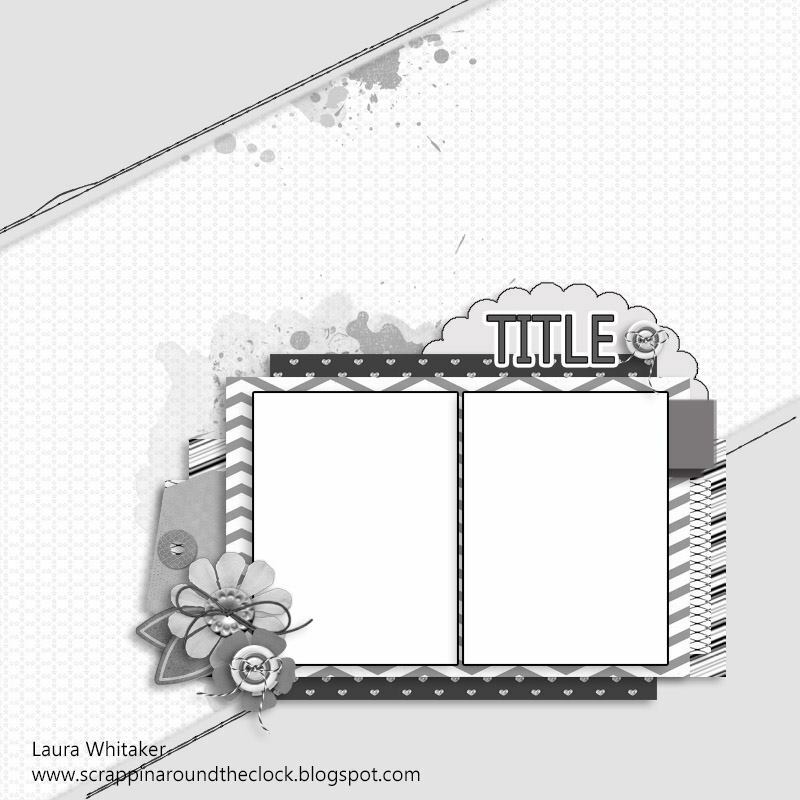 The addition of the journalling is perfect and the layers and colours are fabulous. Such a cute page...love the title!